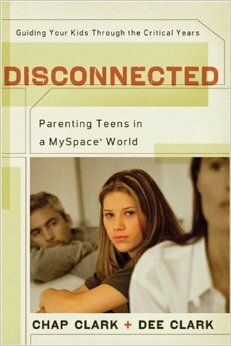 In this book, the Clarks address the issue of parenting teens in the 21st century. Like in Chap Clark’s book, Hurt 2.0, they describe in-depth the development and characteristics of early, mid and late adolescence. This book is written from a Christian perspective using Scripture freely and presenting solutions from a Biblical perspective. Our authors direct this book to Christian parents. This book follows the first edition of Hurt (2004) and precedes Hurt 2.0 (2011) which were directed at school and community workers. This Baker book publication was published in 2007. Chap Clark teaches youth, family and culture at Fuller Theological Seminary, is president of ParenTeen Seminars, Senior editor of” Youthworker Journal” and author of more than fifteen books. His wife, Dee Clark is a family therapist and coauthor of two other books. Together, they have raised three children into young adulthood. Adolescents have three tasks to perform as a part of “Individuation”- answering these questions: Who am I? What power do I really have? Where do I fit? According to social scientists, adolescence begins with the average age of puberty in a community (biology) and ends when they have achieved “individuation” (culture). Pre 1900 puberty averaged at age 14+ and individuation occurred at age 16. In 1980 puberty averaged at age 13 and individuation occurred at age 18. Finally, in 2007 the average age of puberty was 12 and individuation occurred in the mid-20s. p. 63 Now, puberty may begin as early as 11 years old. Part Two – Parenting Through the Seasons explores different seasons of life. Quoting Ecclesiastes 3:1-8 the authors make the point that there are different seasons in the lives of our children. Our authors indicate that parents have five tasks: understanding, showing compassion, “boundarying,” charting/guiding and launching into adulthood. In four successive chapters they present childhood, early adolescence (middle school), mid-adolescence (high school) and late adolescence (young or emerging adults). They present an illustration of the process in the form of a tight rope; childhood and adulthood are on either side (dependence and interdependence) while adolescence is a long tightrope where they are alone to work on the tasks of individuation (independence). During that time these teens need family stability and safety which includes a home where the parents are in charge and, they add, a home that is fun. Mid-adolescents respond to abandonment by forming their own “underground family” with their friends. Chap and Dee spend a chapter contrasting what teens say, how parents interpret it and what the teens really mean. I am a bit hesitant to endorse this entire chapter, but what I do take away from this chapter is that we need to listen to our young people and continue the conversation to ascertain what they really mean. They may not even know what they mean. 1. “Each parent must seek to know, love, and follow Jesus Christ. 2. Both parents must be a cohesive and impenetrable unit of strength and love. My concerns regarding how Dr. Clark viewed family and church (in my review of Hurt 2.0 – http://www.unlockinglearningpotential.com ) have been largely relieved. In addition to addressing Christian parents in Disconnected, he has taken this model to the community and school leaders in the form of the 5:1 project – five adults in a positive relationship with each teen (through http://www.parenteen.org ). Certainly in a Christian context, we have more reason to believe that God will be pleased to bless our efforts, and yet salvation is of the Lord. Also, the Clarks have spent some time with the cause and have put forth some practical ways that can help parents, especially Christian parents, to establish a home that nurtures our young.